The AMD Athlon XP processor powers the next generation in computing platforms, delivering extra performance for cutting-edge applications and an extraordinary computing experience. It is designed to meet the computation-intensive requirements of cutting-edge software applications running on high-performance desktop systems. AMD delivers tremendous performance by increasing the amount of work done per clock cycle and improving the operating frequency at the same time. 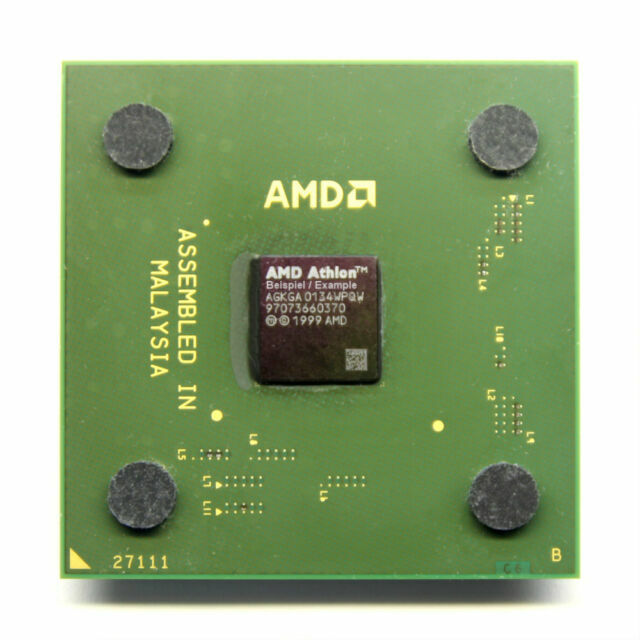 The end result is a processor design that produces a high volume of work done per cycle and high operating frequencies - an optimum combination for compelling application performance.The AMD Athlon XP processor offers fast results when working with digital media like audio, video, and image files. It provides for outstanding near real-time voice, video, and CAD/CAM as a result of features like larger cache memory, 3DNow! Professional technology, and the innovative QuantiSpeed architecture, which includes the industry's most powerful fully pipelined x86 floating point engine. The AMD Athlon XP brings digital entertainment like games and DVDs to life with rich, smooth graphics and true to life sound. The processor enables a more life-like audio experience with special surround sound-enhancing features. Athlon XP takes advantage of connected digital devices and their content by delivering realistic photos, smooth videos, and rich sound. I decided to buy this processor in order to upgrade my old computer to a faster speed. Installation was easy and my computer was faster as a result. I liked the reassonable price in buying on ebay and the AMD processor is known for good performance. The processor is working great and I have no dislikes at all.